It's only been around a week since Pokémon Go transported us all back to the '90s via its Pikachu-powered time machine, but now, it looks like Nintendo wants to crank up the nostalgia even more this year by bringing back one its earliest systems: the NES. That's right, the Nintendo Gaming System is officially coming back. 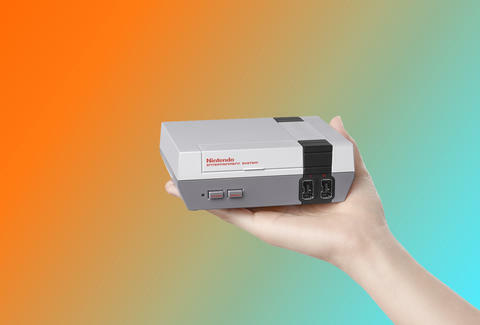 The new, palm-size version of the console is called the NES Classic Edition, and it arrives in stores just in time for holiday shopping madness on November 11th at a suggested retail price of $60, so get ready to tear open your presents like it's freaking 1985 again. 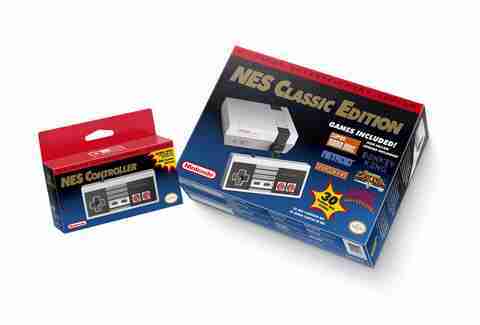 Even the box (pictured below) is designed to look like a throwback to the fonts and colors of 30-something years ago. In fact, Nintendo admits the machine is meant to bring you back to the glory days of Donkey Kong, describing it as a "nostalgia-fueled system" that's a "near-identical, mini replica" of the original NES that includes a controller designed to look just like the iconic NES gamepad. However, you won't need to dust off your old audio and video input cables, because the new console (thankfully) connects to your TV via HDMI. In other words, it looks like Pokémon Go could very well be just the beginning of your nostalgia-fueled gaming addiction this year. Your move, Crash Bandicoot (Sony). Tony Merevick is Cities News Editor at Thrillist and needs one of these things immediately. Send news tips to news@thrillist.com and follow him on Twitter @tonymerevick.